Abolitionist William Lloyd Garrison established the radical newspaper The Liberator in 1831. 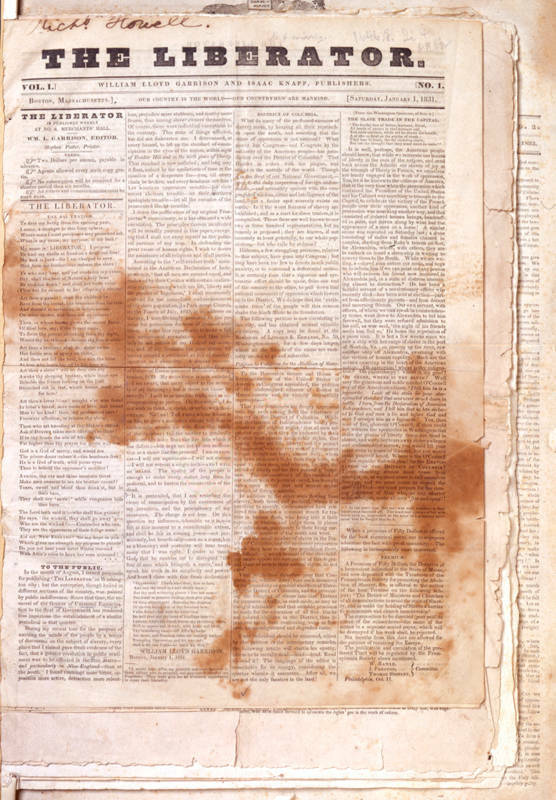 Although its circulation was only about 3,000, and three-quarters of subscribers were African Americans in 1834, the newspaper earned nationwide notoriety for its uncompromising advocacy of “immediate and complete emancipation of all slaves” in the United States. Lloyd’s rhetoric was radical and inflammatory, meant to provoke and astonish northerners with the gruesome nature of slavery. The Liberator faced harsh resistance from several state legislatures, local groups, and prominent individuals from the South.